Mountain View residents continue to pursue and benefit from the services of Ted Ray at Peninsula Acupuncture. Ray has earned widespread local acclaim for his relaxing approach and astute observations regarding clients’ needs. Peninsula Acupuncture offers herbal treatment that customers have said relieve both pain and stress effectively. Family-owned and operated and in its 35th year in business, FCC Collision has won the top praises of our readership for the fifth year in a row. Customers have raved as much about the committed and fair customer service FCC Collision provides as they have about the thorough work FCC professionals conduct on the cars being serviced. Laurie and Larry Moore, owners of Larry's AutoWorks. Larry’s Autoworks continues to provide the best predictive maintenance in town, according to readers. Its highly trained specialists offer repairs, service and tire care, as well as a warranty that covers all parts and labor for three years or 36,000 miles. “We work with people to make their cars work over time,” owner Larry Moore says. Chiropractor Performance Center not only focuses on posture adjustments, but also educates clients regarding lifestyle, diets and exercise. According to owner Dr. Lucy Osgood, a substantial need for chiropractic therapy has arisen among 20 year olds who injure their necks and backs while hunched over computers. According to our readers, Chiropractor Performance Center offers the best chiropractic adjustments as well as some of the best advice in town. Conveniently located in downtown Mountain View, first time winner Dental Fabulous offers “an excellent dental experience, in a modern, relaxed and friendly environment,” according to owner and principal dentist Dr. Huy Do. Open Tuesday through Friday, Dental Fabulous also offers Saturday appointments. For 23 years, Green and Fresh Cleaners distinguishes itself for its green practices, using environmentally friendly solvent. Perhaps the biggest reason Green and Fresh Cleaners continues to win the praises of Voice voters is for its top-notch service. “We try to make customers happy,” general manager Janey Kim says. Noted for its around-the-clock schedule, 24 Hour Fitness offers one-hour fitness classes seven days a week, starting as early as 6 a.m. The classes offer a wide variety of drills and exercises, including yoga, zumba, barbells, aerobics and martial arts. Readers say they find the instructors to be extremely effective in improving overall fitness. Owner of BookBuyers, Hotranatha Ajaya. 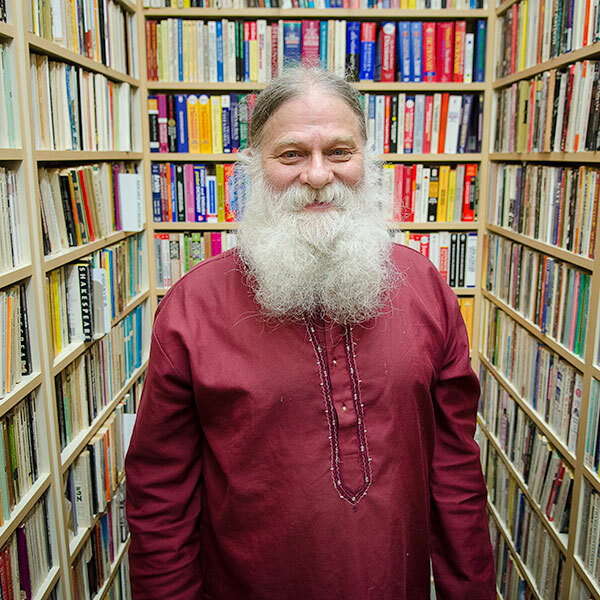 Perhaps the biggest reason why BookBuyers ranks as the greenest business in Mountain View is the simplest — it promotes reuse by serving as the biggest used book store in town. Co-owner Hotranatha Ajaya says BookBuyers is certified green for using appropriate chemicals and water control. But BookBuyers’ environmentally friendly approach is not the only reason why it is popular. Its warm atmosphere, extensive collection of books and friendly staff make BookBuyers a local favorite. “People come in every day and say we’re great,” Ajaya says. The El Camino YMCA once again earns the title of best gym from our readers. It offers over 220 exercise classes as well as a free kids club that offers a fit alternative to sitting and watching television, according to executive director Elaine Glissmeyer. Glissmeyer also says the YMCA wins appeal for its status as a nonprofit as well as for the fact that it offers scholarships so that many clients don’t have to pay the full gym fee. Winning best hair salon for the ninth consecutive time, Allure Salon earns raves from the community for its excellent service, relaxing atmosphere and clean and modern workspace. According to local residents, hair stylists at Allure Salon distinguish themselves for being accommodating, effective and highly conversational. Allure Salon also provides care for nails and eyelashes. Customers come back to Gorgeous Nails and Skin Care, according to manager Nancy Nguyen, because it provides everything from manicures and pedicures to eyebrow care and facial work. “We try to provide the best service for nail and skin care,” Nguyen says. Voice readers clearly think Gorgeous Nails and Skin Care achieves this goal, voting it best place for a manicure for the third consecutive year. Affordable prices and well-trained, professional therapists make Massage Envy the go-to place to get a massage amongst our readers this year. Open seven days a week, the Massage Envy location in Mountain View offers clients personalized facials and sugar foot scrub therapy in addition to massage therapy. Readers praise the local Jiffy Lube for its friendly service and for providing a quick and easy oil change. One of more than 2,000 Jiffy Lube stores within North America, this Jiffy Lube distinguishes itself for its cordial and accommodating staff and for getting the job done quickly. 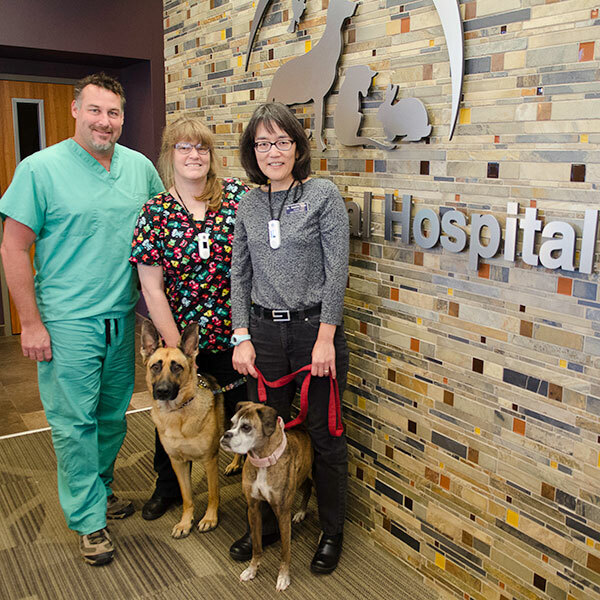 (Left to right) Brian Maxwell, Jane Johnson and Jennifer Koga at Adobe Animal Hospital. While Overtime Fitness boasts pro athletes among its clients, like Mountain View-born Chicago White Sox starting pitcher Erik Johnson, it provides the latest equipment and professional training for everyone at affordable prices, according to managing partner Armando Monge. Overtime Fitness focuses on clients’ weight loss, injury prevention and athletic performance enhancement with such exercises as dance, yoga, self-defense and zumba. A mainstay in the area since 1964, Adobe Animal Hospital provides around-the-clock care and emergency services for pets. With over 20 veterinarians, and with at least one on call at all times, Adobe Animal Hospital offers both scheduled appointments and walk-in emergency support. With Mountain View pet owners praising the hospital and its doctors and staff, it’s not a surprise Adobe Animal Hospital wins best pet care yet again. For over fifty years, A Minute Man Shoe Repair has provided the community with a quick and reliable service for repairing shoes and other footwear. Run by cobbler Marco Azuela, A Minute Man also repairs belts, purses and luggage and offers a large collection for sale of boots, shoe supplies and wallets among other items. Owners of Yoga Youthfulness, Sabina and Joseph Hentz.